It was announced on AKB48 official blog that Kasai Tomomi’s graduation from the group will be on May 3rd, after the Shinoda team A performance at AKB48 theater. Kasai previously announced her graduation on the stage of “the 2nd AKB48 Kohaku Taikou Uta Gassen” held on December 17th of last year. Additionally, her last appearance for a handshake event will be on April 20th which will be held at Makuhari Messe. On May 8th, right after her graduation, she is set to release her 2nd single (currently untitled) that has been chosen as the ending theme for upcoming drama “Meshibana Deka Tachibana“, in which she will appear as the heroine. 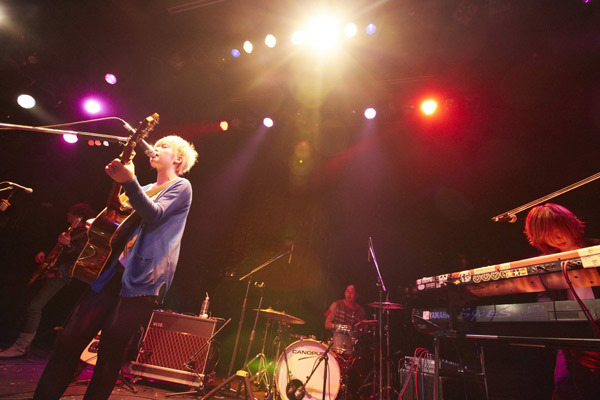 After almost five months from YUI's break, it was announced that the singer/songwriter will already return to the music industry as a vocalist of the new band Flower Flower. The band was said to be already performing live around Japan and has been doing studio sessions earlier this year which obviously explains that YUI's time from the hiatus was actually used and given for the preparation of the band's debut. Flower Flower is a four-member group which consists of other musicians YUI admires and respects. The band will be making their debut on May 4 at the Japan Jam event in Tokyo - Shin-Kiba STUDIO COAST. Following their formal debut, they will also be participating at the Tokyo Metropolitan Rock Festival 2013 on May 26. About the band's name "Flower Flower" YUI said, "I wanted to pick a name that wasn't flashy, but was natural. There were probably a lot of cool names that I could've picked, but purposely, instead of doing that, I wanted to pick a name that seemed effortless and relaxing, and had a natural feeling injected into it. I want to express powerful and interesting ideas freely."